Alkis Economou was admitted to the Athens Bar Association in 1980 and is qualified to appear before the Supreme Court. He has served as a legal advisor for many public tenders, and has frequently overseen the execution of projects within the framework of national and European Union legislation. In the past, Mr. Economou has offered his services as a legal advisor to the European Commission in the following cases before the European Court of Justice: a) In the Public Power Corporation case (PPC v. European Commission, case T-169/08), b) In the Olympic Airways case (Olympic Airways S.A. v. European Commission, case T-68/03), c) In the case of ferries in the “Greece – Italy” line (Greek Ferry Owners v. European Commission, cases T-59/99, T-66/99 and C-121/04 P-1) and d) In the cement case (Greek Cement Producers v. European Commission, cases T-103/95 and T-104/95). Alkis has extensive experience in all types of dispute resolutions, representing his clients in civil and administrative actions before the high court and in numerous arbitrations, acting as counsel in cases in front of the International Chamber of Commerce (ICC). 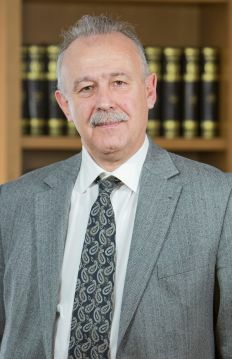 He also is an expert in Greek legislation and related community directives in connection with public contracts. He has extensive experience in advising clients, both in the public and private sectors, regarding the drafting of tender offer announcements, the filing of offer valuations, and the negotiation, drafting and execution of contracts.